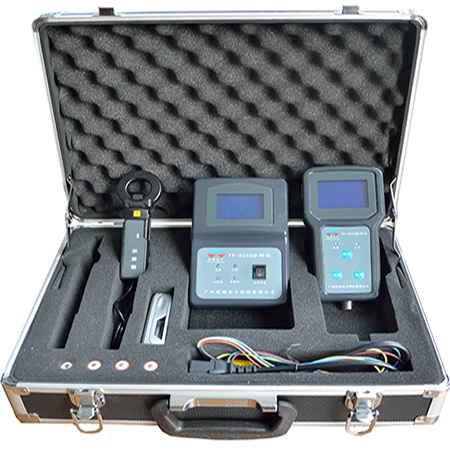 YW-D600 can be used to detected that all kinds of insulation faults and AC fleeing into DC fault in DC system voltage level 24V/48V/110V/220V. (1) Function of DC-system grounding voltage measurement and Insulation resistance measurement. (2) Function of testing the AC fleeing into DC and grounding fault Point Location. (3) Function of branch grounding fault Point Location and branch insulation resistance measurement. (5) Function of finding grounding on no signal. (6) Function of display the fault current waveform curve and fault direction. Transmission distance: In the range of visibility, the reliable transmission from the ground 2m distance of 100m.